Imagine a place, a unique region in terms of morphology and vegetation thanks to the many rivers and lakes, and bordered to the west by a splendid sea. Acres of Rolling hills and lush woods dressed by plains stained with the silver of the olive trees, the red of the vineyards, the delicate colors of the wild flowers, scented myrtle, lavender, and rosemary. Then, suddenly, gray and red tufaceous cliffs rise, deeply carved by furious waters. 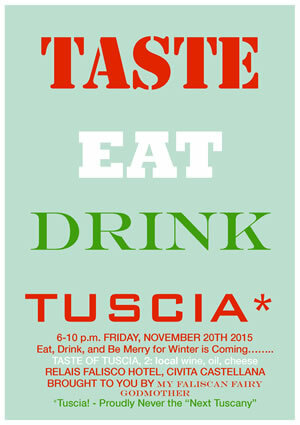 You are welcomed to Etruria, the land where the Etruscans lived, died. 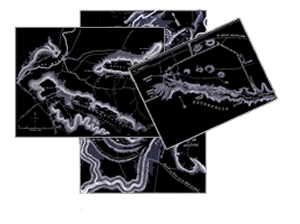 Here they built tombs of singular shape and type whose variable was the territory where natural energies converge; tumulus were designed where earth was flat, and hypogean were dug into the walls of tuff. 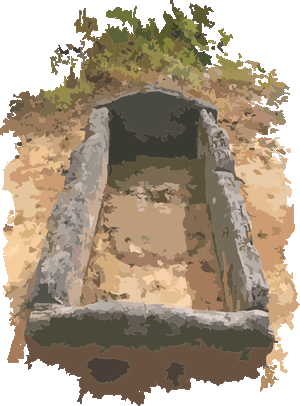 Before the 10th Century BC Etruscans used to practice the simple burial of the body in a pit dug in the ground. Only from the X century BC , this method was replaced by cremation consisting in the complete combustion of the corpse; the ashes were then collected in an urn subsequently buried into the ground. These tombs consist usually in a well two meters deep where the urn with ashes of the deceased was placed. In some cases the burial also included objects, especially in bronze, belonging to the deceased. Ditch Tombs were created to bury bodies in the 8th century BC, and would often replace the Well Tombs for the cremated deceased. 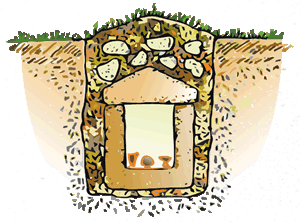 When the tomb was created in the normal ground, the rectangular tombs were confined using various materials such as pebbles, stone slabs, tiles etc. Inside and outside the pit there would be placed several ritual objects and funerary ornaments. The first evidence of a monumental civilization was around 750 BC. The new cult of life after death (the ideal afterlife) takes place. The tombs became reproductions of the Etruscan houses, and the deceased was accompanied by varied rich funerary ornaments. Initially the tombs were covered by simple slabs of rock reproducing the steeply pitched roof of a house. The cemeteries expanded their size, constructions are solidly built and carved into the tuff. Usually a path or a staircase ending to a common entrance to access the burial rooms was created. These funerary monuments in size and shape differ from any other burial Mediterranean architecture and are present in great number in the Etruscan Necropolis of Cerveteri. 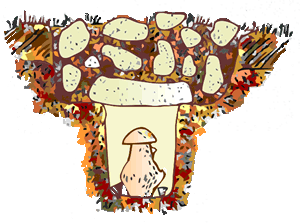 They have colossal shapes and rise in delimited cemetery; they are composed by a circular tuff base decorated (the tambour) and covered by a mound where vegetation grows. 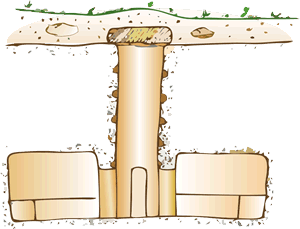 The Tumulus have a diameter that may reach forty meters; internally there are multiple rooms that can be reached through a path that each room has in common. 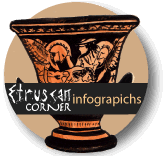 According to Ancient Etruscan beliefs, people in the afterlife needed an intimate environment where to enjoy eternal life after death; in the Tumulus the company of familiar objects and furniture that were owned in life was the key for the deceased. Etruscan Tholos Tombs derived from the architecture of Mycenae where the Tholos were built for the Kings. In this type of tomb is proof of the first examples of ancient domes; it would be built on a hillside by overlapping concentric circles of stones until the complete closure of the vault. The Tholos was then covered with ground to reproduce a natural hill. Later on, the sarcophagus of the noble Etruscan would be laid in a small compartment next to the great circular room. This type of tomb was used primarily in northern Etruria in the late Oriental-Age. (Vetulonia and Volterra, Tomb of the Montagnola in Quinto Fiorentino, Florence). 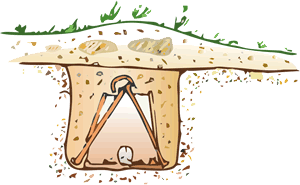 The Chamber Tombs can generally be accessed by a narrow corridor called Dromos and are dug in the earth into layers of tuff. They have different shapes, rectangular, trapezoidal, squared etc. with one or more connected rooms. On the tuff walls there are the funerary beds while the entrances and ceilings often present decorative reliefs; during the archaic period inside the Chamber Tombs used to be built columns with a capital. Besides that, furniture and objects used during the life of the deceased were carved in the rock. Later on from the 7th to the 4th century BC, sculptures and frescoes started to adorn the walls of these tombs. The frescoes represent as we have already seen scenes of peaceful life and have the purpose of cheering the deceased. These tombs placed in the Necropolis are divided into different types, however, this division can vary from author to author as there is not a standard classification. 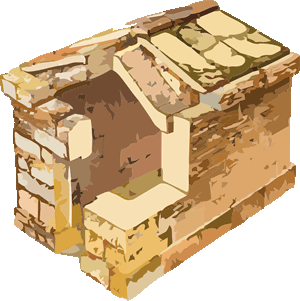 This type of tombs consist of a box made with tuff stones particularly heavy (Nenfro or Peperino stones, typical volcanic rocks) where the deceased lies with his personal belongings and closed with a convex cover. Around the cist was often placed other funerary ornaments. 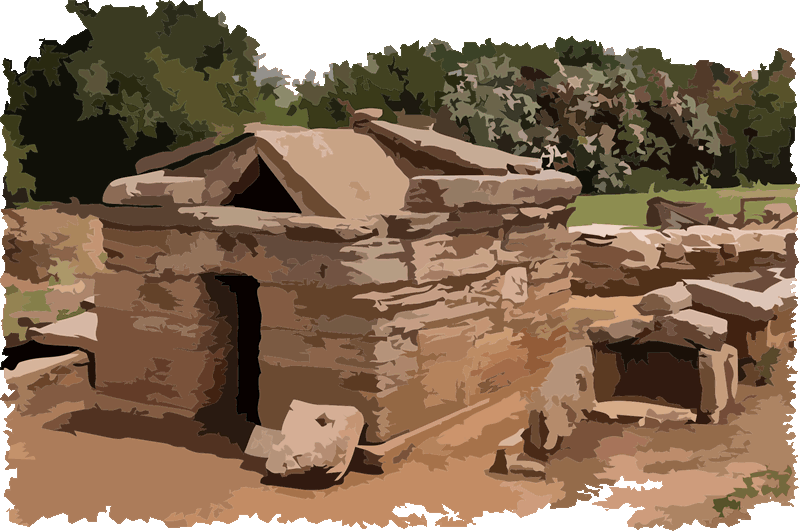 The Cist Tombs are typical of the period that goes from the 7th to the 5th century BC. Aedicula Tombs are typical of the period that goes from the middle of the 6th down to the half of the 5th century BC. The term derives from the latin word aedicula as it recalls the architecture of a small temple. 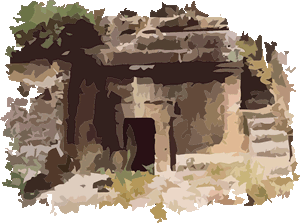 It would be constructed entirely above the ground and would be a rarity in the Etruscan funerary architecture. They were made entirely of stone, with a single burial chamber. These tombs, such as the Cube shaped, used to resemble real homes with an accentuated roof with two sloping sides. The Cube Tombs used to be created by digging in a block of rock or tuff. Another way was to build them completely and in this case the four sides of the tomb would be isolated. These tombs are generally aligned one side to the other forming a real cityof dead with streets and small open spaces. 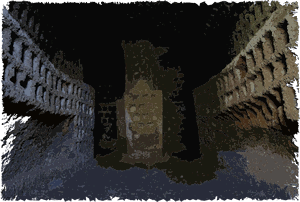 the Cube Tombs have a front access door (archaic period) or a fake door on top and inside there are two rooms with bunks for the dead. The ceilings reproducing wooden beams to recreate a real home environment for the deceased. Outside there is a staircase that leads to the roof where there were worship altars. Typical of stony Necropolis, these tombs reflect a change in Etruscan society towards a non-aristocratic civilization. The Colombarium Tombs are formed by different rooms often communicating; their walls are formed of squared compartments between twenty to thirty centimeters of diameter. Inside them were once deposited the ashes of the deceased in vases or urns along with poor funerary furnishing. 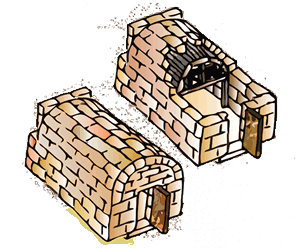 This typology of tombs was used usually by the poorest classes and dating back to the last Etruscan period when Romans started to appear as a new civilization. The Well-Tombs are from the very late period and are named this way because of their architecture. They are real wells that go deep in the soil even for ten meters up to the burial chamber or the leading tunnels. It is possible to descend the well using notches or steps carved in its wall. Their shape could also be rectangular. The Cappuccina Tombs go by this name because of their shape which resembles a cap or roof. They cover the body of the deceased with slabs of stone placed at the sides of the corpse and joined at the top. The soil would cover everything including particularly a poor funerary furnishing that highlights the use of this tombs by the poor social class.